As of 2/23/2012, Pilot Magazine LLC is actively recruiting for this Aviation Advertising Sales position. The posting has been viewed 4 times since its original post date. Pilot Magazine LLC has received 1 resumes by email for this position. Be sure to send your resume for this position using the "Send Resume" button or the phone, fax, email, and instructions provided on this page. 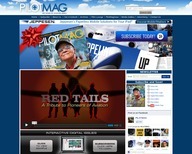 Please visit the Pilot Magazine LLC web site for any additional details or information. Less than 25% of other viewers have sent their resume and the position is still open, so you are strongly encouraged to apply using the application instructions provided below. Advertising Sales Executive position for worldwide aviation advertising sales with existing accounts. Fun job with excellent commissions and benefits. Please email resume to birwin@pilotmag.com and reference Avjobs when applying for this position.